Spent a couple of hours in town on Wednesday to update my records and photo collection. Managed quite a few Target Travel buses. Just goes to demonstrate the variety of their fleet. T366BSS Mercedes 614D: This was the only Target Travel bus I saw with a paper route number. With no other destination equipment I guess its all they can do with this bus! 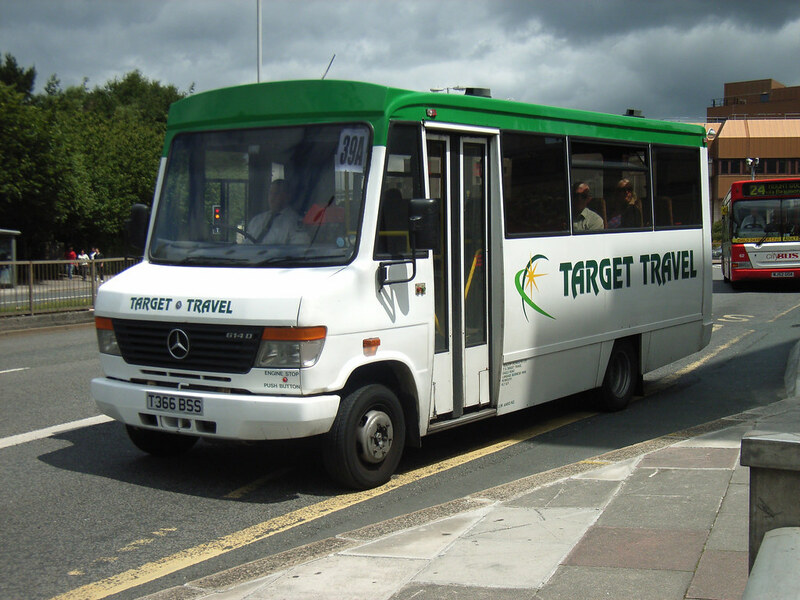 P149LMA Marshall Minibus: Cant get a photo feature on Target without at least one awful Marshall bus. P149SMA was on the 39. 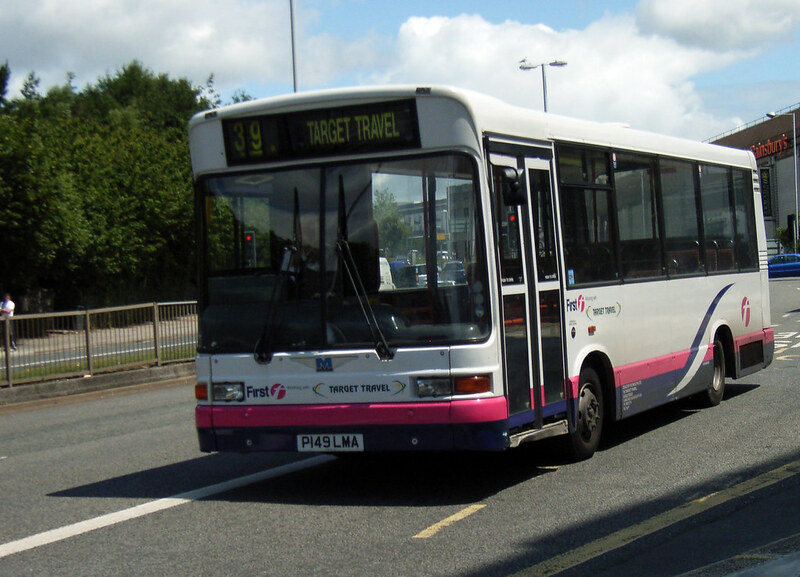 Target originally operated routes on behalf of First but now they operate them mostly in their own right so I wonder how long they will retain First livery? Hopefully they will be replaced by Solos anyway. N95BNF Mercedes 709D is still around and working on the 7D. 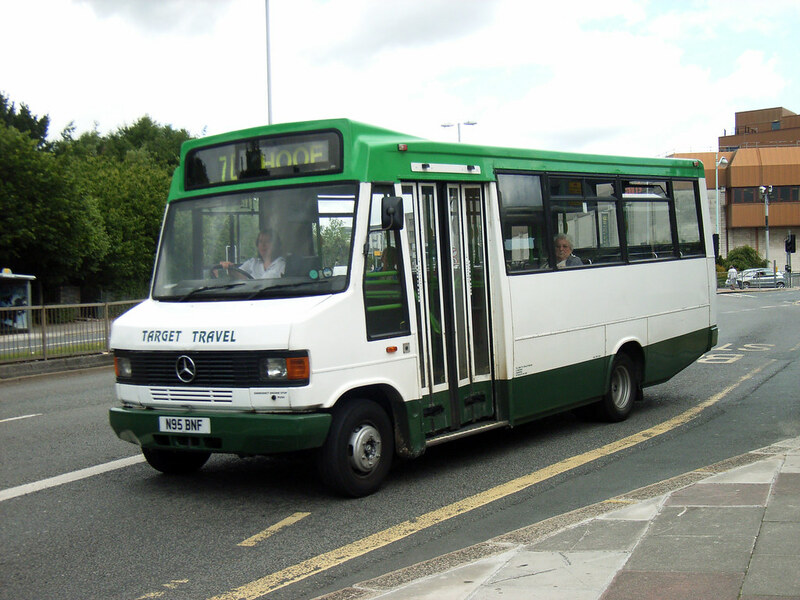 Has been part of the Target fleet since they started working on Plymouth services. 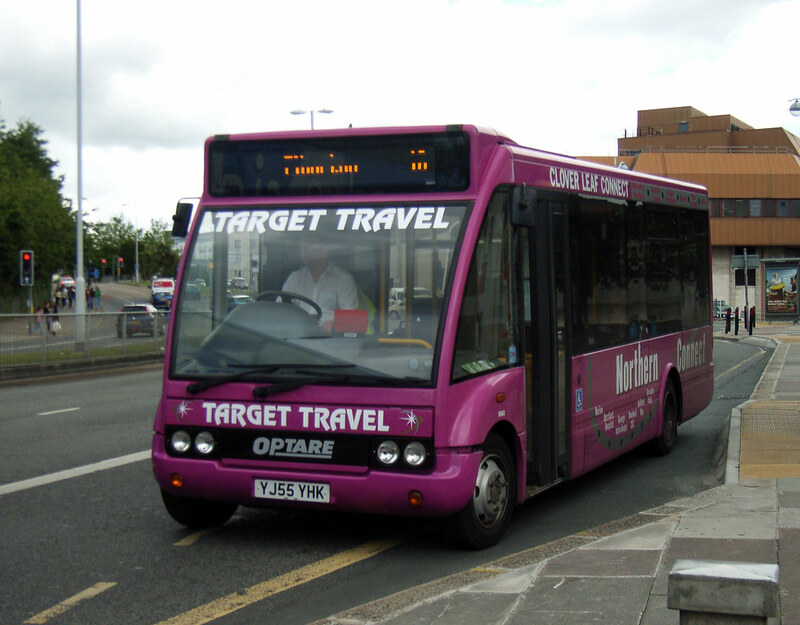 YJ55YHK Optare Solo M780SL. Cant recall the route number, but it was displayed - just hasn't come out on camera!